Comment: I need a retaining wall in back of house to control erosion. Comment: Need to replace concrete sidewalk from driveway around the back of house and patio. Comment: I need a rotted deck removed and a new wider concrete deck installed with a handicap ramp. 2-3 feet high, handicap accessible. 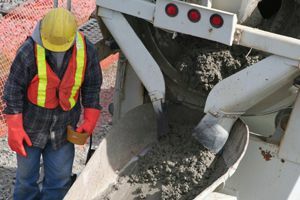 Marietta Concrete Contractors are rated 4.74 out of 5 based on 1,980 reviews of 95 pros. Not Looking for Concrete Contractors in Marietta, GA?